Linnea has been in Paris. And she has visited the painter Claude Monet's garden She even stood on the same little Japanese bridge that Monet painted so often in his pictures. In Paris, Linnea got to see many of the real paintings. Now she can understand what it means to be called an Impressionist, and she knows a lot about Monet's life in the pink house where he lived with his eight children. Twenty-five years after its original publication, this celebration of the wonder of art is available once again in an enlarged keepsake edition. 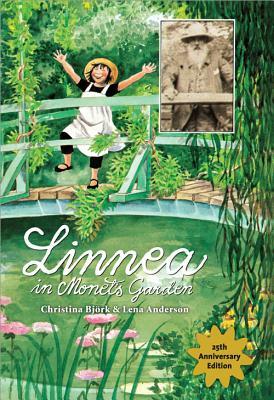 The joy and inspiration Linnea discovers in Monet's garden will be eagerly embraced by a new generation of readers.